Here’s how you can download and install iOS 9, 9.0.1, 9.0.2, 9.2, 9.2.1 for iPhone, iPad or iPod touch the right way. 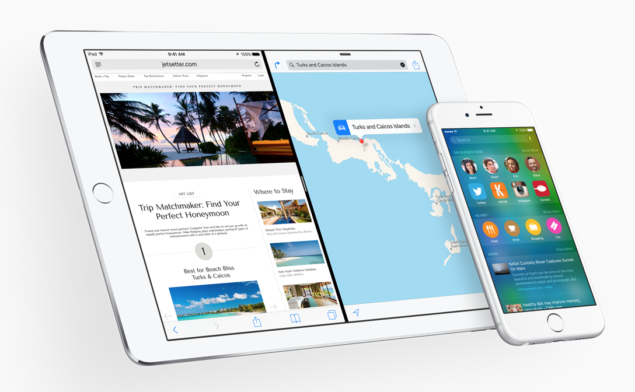 There are a few routes you can take when it comes to installation of iOS 9. But before we get into those, be sure to backup your device using iCloud or iTunes straight away, in case something goes wrong during the procedure. We highly recommend that you don’t move forward until or unless you’ve made a proper backup of your device. All set? Let’s dive right into it! Considering you have at least 2.5GB of space free on your iOS device, fully charged and connected to the Internet via WiFi, follow the steps outlined below. 3. Look for an entry labelled ‘Software Update’ and tap on that as well. This can take a while depending on the amount of content you already have on your device. 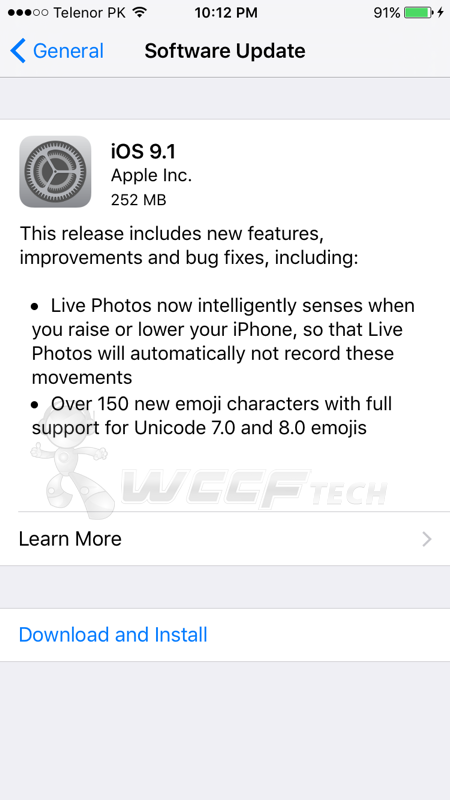 And also, since you’re updating from iOS 8.x to iOS 9 via OTA, hence you won’t lose your files. 1. Download and install the latest version of iTunes on your PC or Mac. Don’t have iTunes installed? Then you can grab it from here: apple.com/itunes. 2. Download the iOS 9.2.1 IPSW file tailored for your iPhone, iPad or iPod touch. 3. 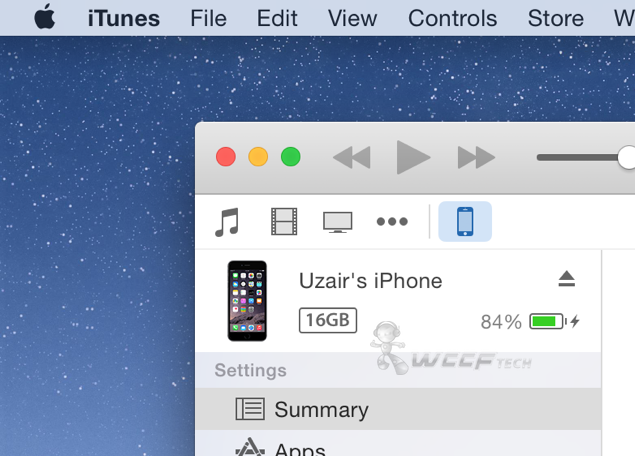 Connect your iOS device to your PC or Mac using a USB cable and launch iTunes. 4. Select your iOS device from the top left hand corner. 5. Hold down the left ‘Option’ key if you’re on a Mac, or the left ‘Shift’ key if you’re on Windows, then click on the ‘Restore iPhone’ button. 6. A new pop-up window will appear asking you to point it towards an IPSW file. Select the iOS 9 firmware file you downloaded in step 2. 7. iTunes will now extract the firmware file and restore it onto your device. This process can take a while, but in the end, you’ll be presented with a fresh sight of iOS 9 on your iPhone, iPad or iPod touch. Although the above two mentioned procedures are the best to take if you’re looking to update your device, but if you want to take the good old fashioned route, then you can update your iOS device directly using iTunes without going into much hassle. 1. Download and install the latest version of iTunes onto your PC or Mac. 2. Connect your iOS device to your computer using a USB cable. 3. Select your iOS device in iTunes from the top left hand corner. 4. Now click on the ‘Check for Update’ button, which can be found right next to the ‘Restore iPhone’ button. If there’s an update present, iTunes will notify you of it. Simply go ahead with the installation process and iTunes will even download the IPSW file for you so you don’t have to do much legwork from your end. Which route you wish to take is entirely your call.